For almost 40 years, the Rushlow family has been bringing beauty to Downriver. Our philosophy to care for the whole person, beginning with inner harmony and well-being, beautifully reflects the Rushlow and AVEDA philosophy of superior guest care. Mary, Gary, Jerad and Jenee(Osborne) Rushlow lead a highly talented team of professional experts in delivering Daybreak’s exemplary experience employing AVEDA’s superior products, top-notch technique and relaxing rituals for thousands of guests at Daybreak in Woodhaven and Wyandotte. 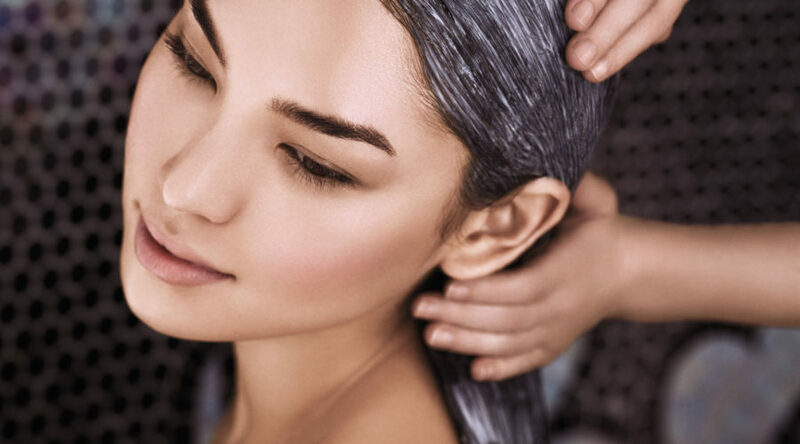 As a high achieving member of the AVEDA network, these family-owned and operated, full-service salons and spas are committed to the very best guest care beginning with the understanding that feeling good is as important as looking good, and most often, related. Daybreak Salon and Spa strives to help every guest reset their senses, relieve stress and feel soothed and refreshed. They call these acts of care rituals of renewal, and Daybreak Artists offer them freely, it’s their treat to every guest. The Daybreak guest experience is also rooted in the unparalleled experience of the team of Artists, Therapists and Technicians: The Experience Experts. Jerad Rushlow, Creative Director and Hayley Smith, Education Director, both AVEDA Purefessionals, ensure through comprehensive bi-weekly education and ongoing training that the Daybreak team brings superior skill and technique to every guest’s experience. During May, Daybreak is offering a complimentary gift of Stress Fix Composition Oil with the purchase of any three, full size or two, liter AVEDA products so guests can “experience” the Daybreak difference at home. See in-salon for details.